Injuries to tendons in the lower limbs are common among people who regularly participate in sports.Unfortunately, there is a lot of misinformation available, and it is important to know what treatments you should use, and what treatments to avoid, to ensure proper healing of tendons. Here is our top ten of treatments you should avoid with patients recovering from a tendon injury. While it may feel counterintuitive to avoid stretching, this can do far more harm than good. Stretching adds to the compression load on the tendon and slows healing. There’s no evidence from clinical trials that injection therapies do any good, other than pain relief and, instead, if the patient feels no pain, they could worsen the injury. Pain is simply the body’s way of telling us something is wrong, and when it comes to tendons, it is critical to pay attention to the pain. Don’t ignore tendon pain! While ruptures can take considerable time to heal fully, we advise not worrying overmuch about them. Some ruptures present without pain, while others can be highly painful, making it difficult to tell simply from pain levels whether a rupture has occurred or not. Passive treatment for tendon injuries can lead to numerous additional problems. For example, without movement, the injured tendon won’t develop a load tolerance. Passive treatments help with pain relief, but not with recovery. Because injured tendons are overloaded and sensitive, massage can increase pain. Friction massage also does nothing for the healing of the tendon, so it’s best to simply avoid it. While your patient certainly shouldn’t be participating in significant sporting events, complete rest is also not advised. Full rest causes tendons to lose stiffness, and also causes connected muscles to lose strength. It’s preferable to include movement as part of the treatment. While the tendon is healing, it is essential to ensure the correct load type is being applied to the tendons. Avoid long muscle tendon length extensions, as this can cause too much compression. It is preferable to use movements that exert a lower tendon load during rehabilitation. Imaging for diagnosis of tendon pain and its causes has not proven to be adequately effective, especially in establishing a prognosis or outcome. This is primarily because there may be asymptomatic pathology, which can cause misdiagnosis or an inaccurate prognosis reading. Everyone would love to have their rehabilitation over and done with as quickly as possible, which is why it’s critical to advise patients to not be in a hurry, or to try and shortcut the healing process. 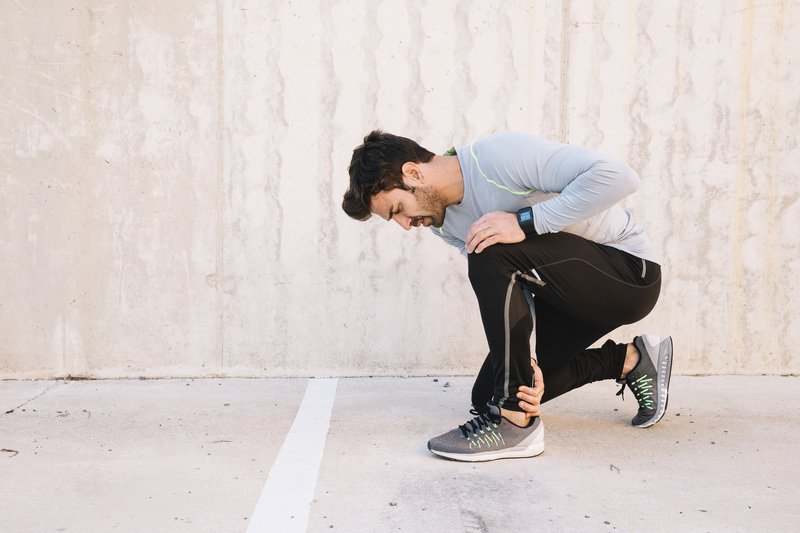 Tendons, muscles and the kinetic chain all need time to recover and rebuild adequate strength, and hurrying this process can result in further injury. Movement-based rehabilitation is simply one of the most effective long-term treatments for tendon pain and injury. Progress through strength-based training to begin with, and slowly work up to higher load exercises - like spring exercises - and endurance work.